This will open your personal Viber QR Code. Your friends and other people you meet can scan this QR Code using their Viber app and add you as a friend on Viber. This is an easy option when you meet people. 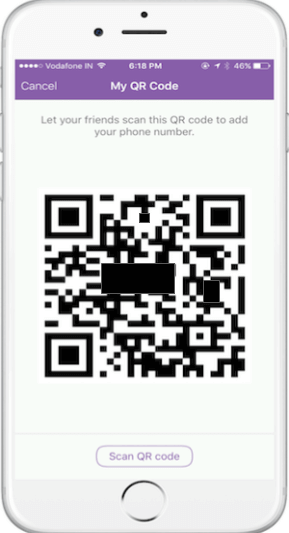 You can open your app, show the QR Code, and get added. The problem is how do you add friends who are in your social network of Facebook or Twitter. Or people who visit your blog. Or your potential customers. And moreover strangers because you love to connect with people. Blackberry users can share their BBM pins and WeChat users can share their designer QR Codes. Unfortunately, Viber doesn’t provide any sharing options. 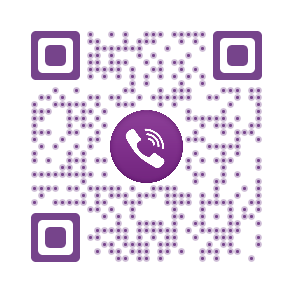 There is another tiny problem with the Viber QR Code. It’s black-and-white and ugly. The good news is that it doesn’t have to be that way and we have a way for you to design your Viber QR Code and easily share it on social media platforms. How to design Viber QR Code? Note that in the number field, you will need to add the ISD code in the first 2-3 digits without 0 followed by your number, which was used to register your Viber account. 4. Your QR Code will be generated and you will be given a choice of three design options – standard, custom design with logo, and custom design with background image. You can edit the design by clicking on Customize on any of the design options. 6. 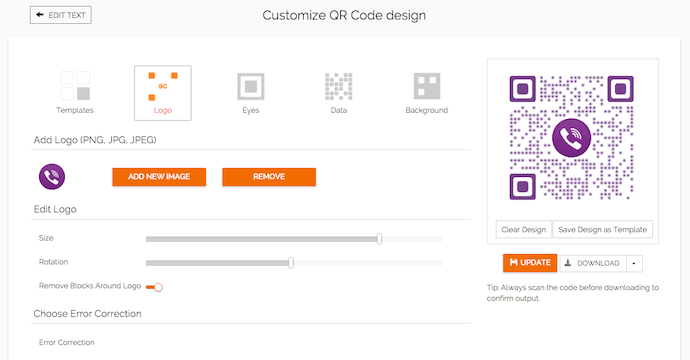 In the design tool that opens, you will be able to edit the colors/patterns and add a logo in the centre of the QR Code. 7. Once you have finalized the design, proceed to Download the QR Code. Note that you will need to sign up for a free account to be able to download the QR Code. Note that the QR Code you have created is a static QR Code, which does not require any subscription. You should be able to do this within the 14-day free trial. 8. Download the QR Code and share the image on social media platforms like Facebook and Twitter. This QR Code will work exactly like your Viber QR Code and friends will be able to add you by scanning it. Besides viber, a lot of messaging apps are also using profile QR Codes. Check out the list. If you’re looking to design a logo for you company, try this logo maker. Explaining what an ISD code was might have been helpful, that part was a bit confusing (hint to other americans, just put a 1 in front of your number). Thanks for the tip tho, I just installed this tonight and found your answer to my question on the first link.